Round Barn Banquet Center is part of a historic restaurant complex in West Champaign, Illinois. 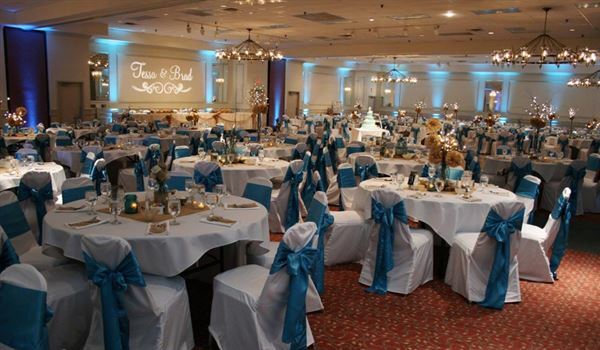 Our Banquet Center is one of the largest in East Central Illinois, with a total seating capacity of 600 persons. The facility can be divided into four separate rooms to accommodate smaller groups. We are proud to offer our facility for all types of business meetings, receptions or other social functions. The staff and management of the Round Barn Banquet Center are ready to provide the professional services necessary to make any event an unqualified success. We have four different banquet rooms available that are connected and can be turned into one large room. For smaller groups we can use our dividers and create a smaller atmosphere.